Electric powertrain technology is advancing month on month, but the challenge for car manufacturers is how to design and construct vehicle suitable architectures to maximize the efficiencies of such technologies. 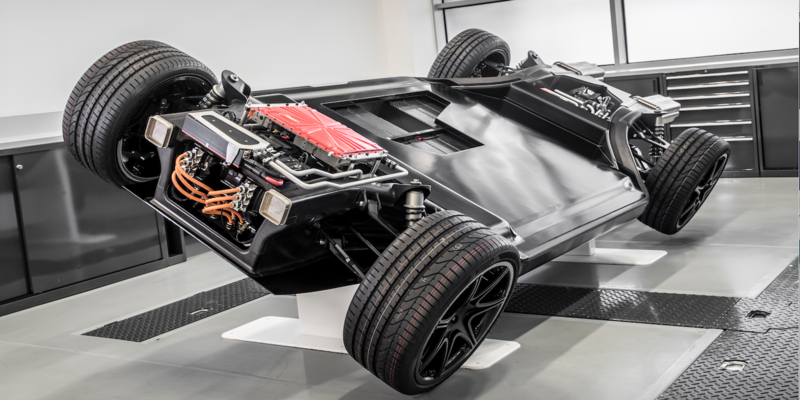 However, with its FW-EVX concept, Williams Advanced Engineering has created an advanced EV platform which features several innovations in lightweight structures, battery pack design and cooling systems, which have each been cleverly integrated into a single, scalable platform. Simply put, the platform is intended to make EVs lighter, safer and greener, with longer range and better performance. Vehicle dynamicists will be particularly interested in the fiber-reinforced suspension components. Exact details are being kept under wraps at present, but Williams states that its engineers have developed a highly automated, near zero-waste process that can reduce weight by up to 40% compared with conventional aluminum wishbones. The team has also developed a process that can form high-strength 3D structures from 2D materials, which they have applied to create an exoskeleton for a battery module that also contributes to the structural performance of the battery.